Our volunteer Paul Hogan is currently in the City of Joy in Mazabuka. 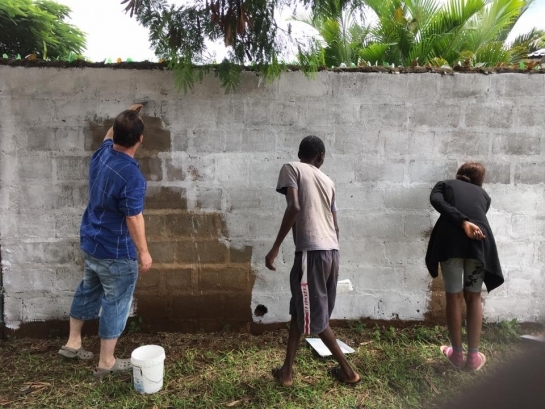 Paul’s two children had travelled to Mazabuka last year to volunteer with Vides and when Paul went to visit them there, he immediately felt a connection and wanted to do all he could to help. He has hit the ground running and is already making a huge difference in the orphanage. You can follow his progress by clicking the link below and liking his page on Facebook. Also, if you would like to make a donation towards the work Paul is carrying out, you can find the link below. Paul is using the money raised to help the orphanage, buy animals, resources and whatever else is needed whilst he is there.